Lead-based paint removal is a dangerous process and should only be performed by California Department of Public Health (CDPH) / EPA certified professionals. The California Department of Public Health (CDPH) /Environmental Protection Agency (EPA) certification ensures that a company will only use California Department of Public Health (CDPH) /EPA certified staff for lead-safe work practices. Why is this important? Lead-based paint was banned in 1978 because it is extremely toxic and can lead to long-term health issues and even death. It can be found in almost every home or other structures built before 1978 and even in some homes built up to 1986. Although lead-based paint was banned in 1978 contractors were allowed to continue its use in order to “run out” their supply. If construction, renovation, remodeling, or demolition is considered on any structure, especially homes, childcare facilities and schools that were built prior to 1978 then proper inspection and lead-based paint removal is required. So what is the procedure for lead-based paint removal? First, California Department of Public Health (CDPH) /EPA certified professionals must come to the property and perform an inspection. This inspection includes the use of an XRF Gun or X-ray fluorescent device that indicates how much lead is present in the paint throughout the structure. 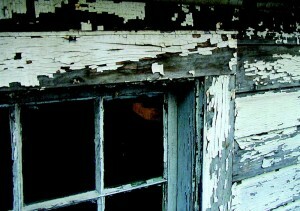 Doors and windows usually contain high amounts of lead-based paint and pose the most danger to humans because of the dust created by friction. Children have been known to find paint chips and eat them because lead-based paint has a sweet taste. In any pre-1978 home or facility where children are present lead-based paint removal is vital to their health and wellbeing. After the initial inspection California Department of Public Health (CDPH) /EPA certified staff will come to the property and scrape the paint from the inside and outside of the structure using only water and scraping tools. These certified professionals will use protective suits, proper breathing apparatus, and special vacuums to ensure proper containment and disposal of lead-based paint dust and chips. After the lead-based paint removal process is complete a special coating called encapsulate is sprayed over the structure. This special coating bonds to the lead molecules preventing them from being released into the air. This coating also contains a product called “bittermite.” Bittermite ensures that children will not eat new paint chips because it causes a very bitter taste in the mouth that can last two or three days. After this encapsulate has been sprayed then regular re-painting can be done. Simple renovations to major construction in pre-1978 homes, childcare facilities and schools can cost thousands of dollars in fines if lead-based paint testing is not done. Barr & Clark can ensure proper lead-based paint detection and removal procedures for a successful renovation, remodeling, demolition or construction project.